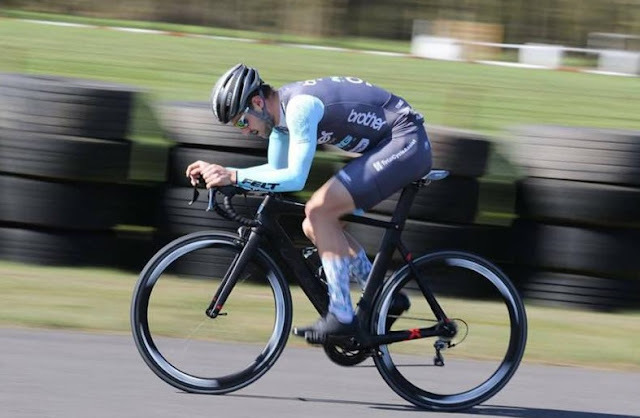 Interview with triple National Track Champion Dan Bigham | theraceforthecafe.com . 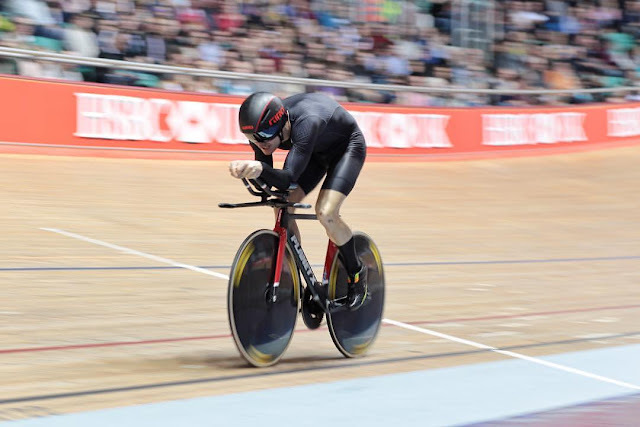 The fastest rider in the UK - an interview with Dan Bigham. I am delighted that Dan agreed to be interviewed for the blog and he has made my job very easy this week. I just asked him the questions and he gave me fantastic answers - here they are in Dan's own words I haven't changed a thing. Thanks Dan. Dan who? 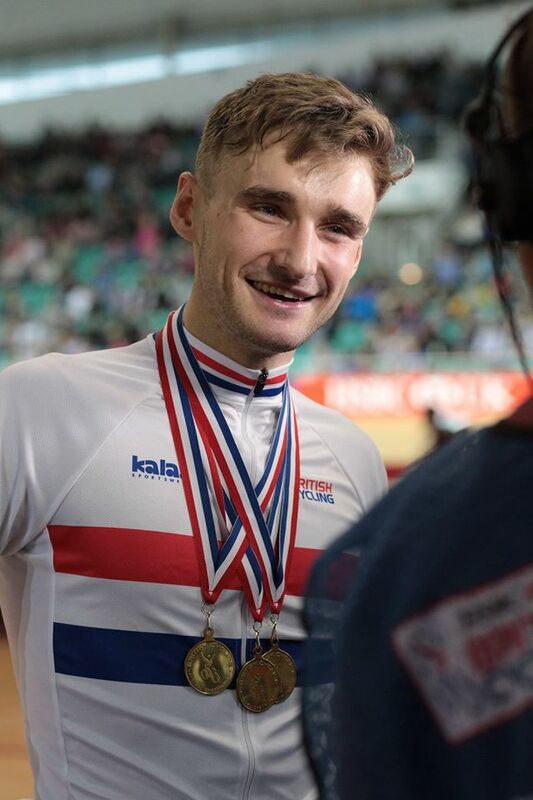 Just the three National Champions medals in January. So Dan you clearly have in depth knowledge of aerodynamics - where did you get your experience and expertise? My background is in motorsport engineering, which I studied for my undergrad and masters at Oxford Brookes University. Whilst there I did a placement year at Mercedes AMG Petronas F1 team as an aerodynamicist. I learnt a great deal in the wind tunnel and design office at Mercedes, and it certainly developed my interest in aerodynamics. Meeting a bit of a legend of cycling aerodynamics at Mercedes, Simon Smart, gave me the idea of focusing more on cycling aero once I was back at uni. 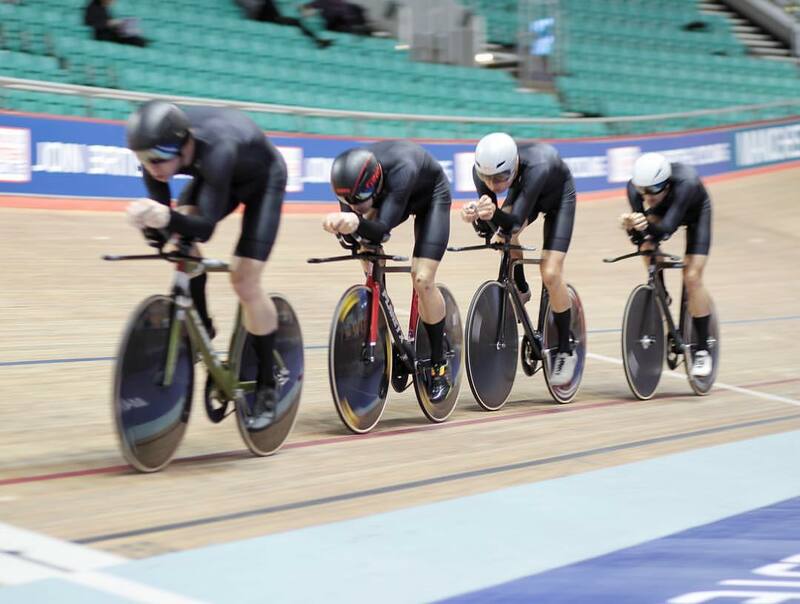 Luckily one of my main lecturers was an aerodynamicist and also an ex-GB cyclist, which meant I had the flexibility to divert away from motorsport specific projects. After graduation, I landed in a great job working with Olympic sports teams as a performance engineer. Creating technology and software for some of the world’s best athletes and coaches was pretty motivating, but also made me realise that I wanted the same treatment! After 6 months, I moved on to working part time at Drag2Zero so that I could train properly alongside. That was an epic place to be, working with the best cyclists in the world and on some very unique projects too - check out Rule28 here Aero for some of Dan's work . Then around a year ago, I decided to make the switch to being self-employed and really put everything in to riding my bike as fast as I could! 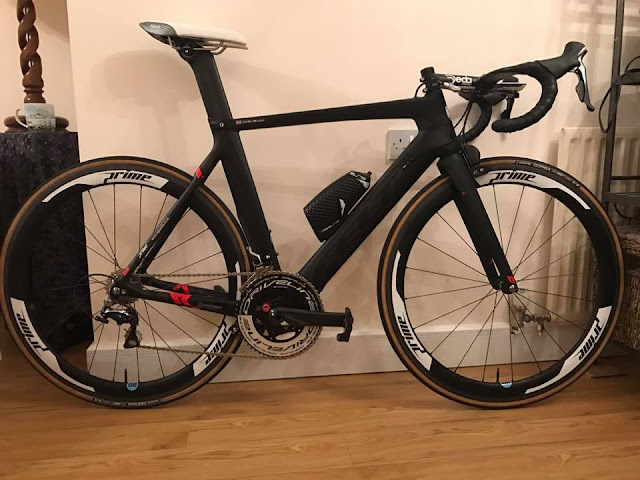 Running my business WattShop shopforwatts - here as well as an aerodynamic consultancy has been hard work but every day I learn something new and I now have amazing clients who are developing some of the best sporting equipment in the cycling and triathlon world. 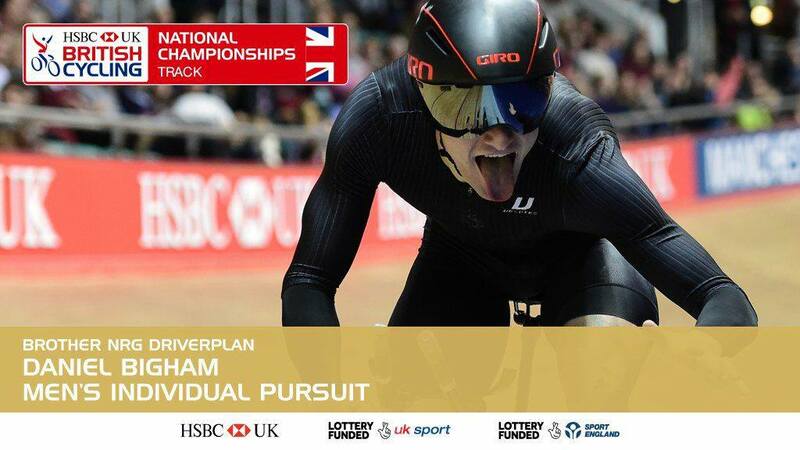 Dan riding to a 1.03.22 for the mens kilo - RAPID! For an average cyclist, what is more important saving weight or getting more aero? It depends what your average cyclist is trying to do. 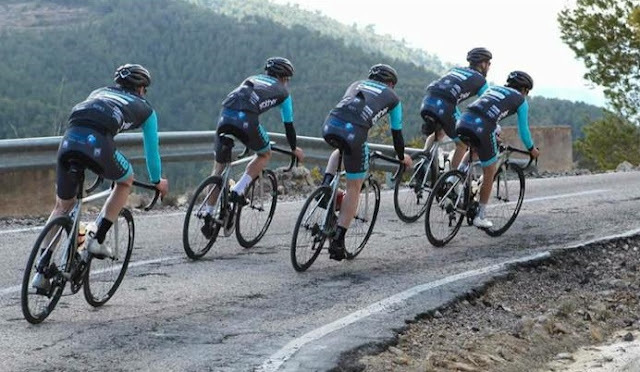 If they’re just enjoying doing the local club ride and keeping healthy, dropping a few kilos is probably an easy gain both from a performance and psychological viewpoint. If you want to start hammering your mates on the local chaingang, aerodynamics is where you’re going to find the biggest gains. What is the biggest mistake you see cyclists making in their attempts to go faster? I see a lot of cyclists that have blinkered approach to improving their equipment, focusing entirely on a couple of areas but ignoring low hanging fruit elsewhere! If you really want to go fast, you need to look at every aspect of your equipment, position, training, lifestyle, nutrition etc. with an equal and progressive approach. If the answer to why you are doing something is “It’s always been done this way” then you definitely need to reassess what you’re doing! Above - The Brother/NRG/Driverplan team pursuit National Champions. Jonny Wale, Dan Bigham, Charlie Tanfield and Jacob Tipper. You and your team were regarded as underdogs at the National Track Champs - yet throughout your build up you were extremely confident that you could win - how could you be so sure? I don’t think I’ve ever prepared for anything as well as I did for that weekend. There were definitely hiccups and mistakes along the way, but it was a constant learning process that we refined as went along. I had done the research and knew what times it would take to win, and I’d done all the aero and tyre testing so knew the power figures it would take for me to do those times. Once I started getting close to those numbers over a month out I knew it was just a case of continuing to build, refine and improve, and it should all slot in to place at the race. That’s not to say I didn’t have my own breakdowns and moods, not least 3 days out from the big day when I felt pretty rough and emotional at our final session after a big crash the weekend before and forgetting to bring three of our disc wheels to the session! Luckily, I have some great teammates who got me back in line and focused on the event. Without giving too many of your secrets away how would you describe your training philosophy? I’m lucky that I have a great coach (Tom Kirk @ Custom Cycle Coaching) who always seems to be one step ahead of whatever I might be planning next. I think the philosophy he has always had, and it’s something we definitely had during our Nationals prep, is to train specifically for the race. A good amount of my sessions are effectively simulations of key parts of target races. On the track, we were consistently doing complete race replications. There’s no replacement for doing exactly what the race demands of you. It helps going in to races knowing that you have practiced it a million times over, there’s nothing new that can surprise you. After your track success in January you are now beginning your road season - how do you manage the transition from track to road? Once I’d landed back on earth a couple of weeks after track nationals, I flew out to Calpe in Spain for a 3-week training camp. With the Brother NRG DriverPlan team out there in the first week as well as plenty of other great cyclists and friends coming over for week blocks, it made for some top-quality riding. In the final week, I really found my road legs, my numbers were up and I felt really strong on all the climbs. I was expecting the transition back to road to be quite hard work and take some time before I was able to push on during the long rides and races, but I seem to have found some good form quickly and have picked up a 5th, 3rd and two 2nds in my first four races of the season. Hopefully it hangs around for the first few Grand Prix races and the Rutland! You are obviously a very busy guy - how do you manage to fit everything in? I don’t think I do fit everything in! I definitely struggle a lot with keeping on top of work, training, nutrition, family and friends. I tend to forward plan in my head a lot and then do my best to stick to tight schedules. Sometimes things suffer, sleep is unfortunately the first to go which makes training yet harder but needs must and if you want it enough you’ll find a way to make it work. I keep thinking how awesome it would to wake up and all I have to do is ride my bike, but then actually what sort of life is that? Having so much to do is a great problem to have! The bike you use on the track is clearly super aero - what do you ride on the road and have you modified it at all? Finally, Dan what are the top five tips that you could give theraceforthecafe.com readers to improve their performance on the bike? #1 – Eat well. You can’t fuel a race car off cheeseburgers and chocolate. You can never have too much fruit and veg. #2 – Train smart, not hard. Use your time on the bike wisely and train specifically for your races or targets. #3 – Rest. I don’t think many people take enough time to switch off, both mentally and physically. It’s key to your body adapting to the stimulus you put upon it. #4 – Aero can be free. If you want to go fast, get rid of that baggy gilet, pull your body down low, shrug your head in and keep your shoulders narrow. It’s free speed! 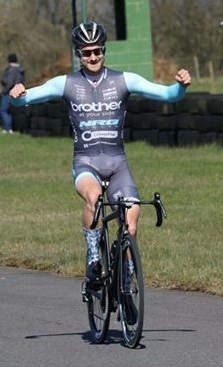 Above and below - Dan racing and winning yesterday at the Ashfield RC E/1/2/3 crit at Darley Moor.Dan attacked from lap 1 and took a solo victory - practicing what he preaches, getting really aero on his Felt AR5. That is Good . . . The Blue Corner is MMAjunkie's website area. We don't take it overly seriously, and neither should you. 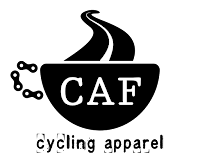 If you come whining to us that something you read here is not hard-hitting news, hope to have the former sentence repeated in ALL CAPS.